Sri Lanka’s premier resort brand, Heritance Hotels & Resorts swept the green and individual awards at the recently concluded Sri Lanka Tourism Awards. Sri Lanka’s most internationally awarded hotel, Heritance Kandalama won the awards for Best Practices in Green Architecture and Best Green Practices in Accommodation. 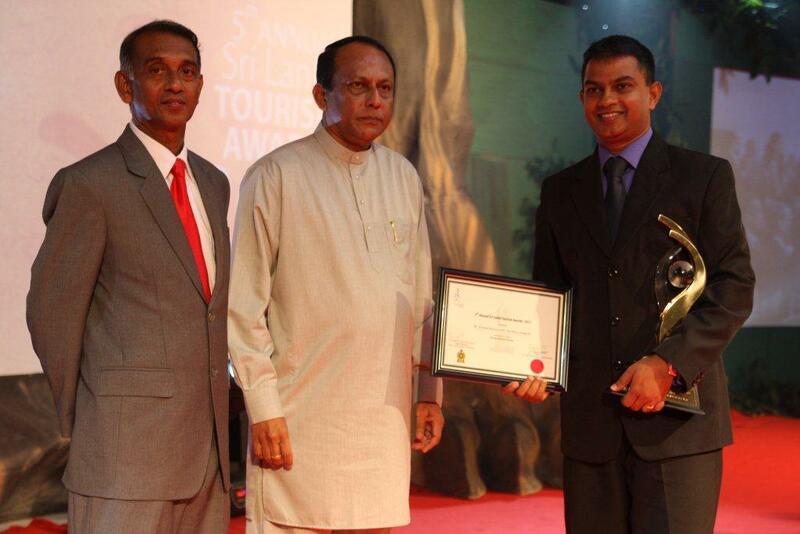 Chef Lalith Gunasekera of Heritance Ahungalla was awarded the coveted Best Chef of the Year award, while Kumara Karunarathne from Heritance Ahungalla was named the Best Employee of the Year and Best Restaurant Manager of the Year award went to Thushara Gunanaratne also of Heritance Ahungalla. 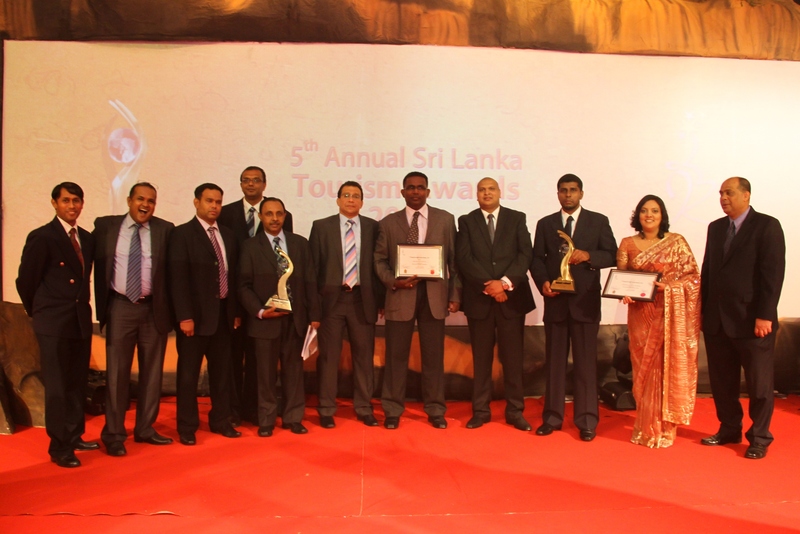 Aiming to recognise and reward excellence in the travel and tourism industry, thus promoting and enhancing the delivery of service standards, this year’s Sri Lanka Tourism Awards was held for the 5th consecutive year on the 30th of August. Heritance Kandalama is routinely recognised as one of the most eco-friendly hotels in the world, setting industry benchmarks recognised and applied globally. It is also a supreme example of Bawa’s philosophy of adapting architecture to suit the environment. Chef Lalith is one example of a truly loyal employee of the Aitken Spence Hotels chain. Since completing his training at the Sri Lanka Institute of Tourism and Hotel Management he joined the Aitken Spence group at the Browns Beach Hotel in Negombo. Following a stint at the Hotel, he also played the role of an executive chef at Club Rannaalhi in The Maldives and the Waters Edge in Colombo, before settling down at Heritance Ahungalla. Frequently rewarded for his expertise, the Waters Edge being awarded the prestigious recognition of becoming the Most Outstanding Hotel Team, under the leadership of Chef Lalith, at the Culinary Art Competition in both 2005 and 2007 is perhaps most noteworthy. Having worked in various capacities at Hill Top Kandy for a period of twenty years, Kumara Karunarathne was promoted and transferred to Heritance Ahungalla in 2010. Winning several service awards, such as the Best Wine Waiter of the Region award at a competition organised by Orient Lanka at the Hotel Swiss in Kandy, Kumara has time and time again been recognised for his potential and good works. Thushara Gunanaratne is yet another success story. Since the start, he was a personality with tremendous public relations skills, who started treading in the path of success within a short time span of being in the industry. Today, Thushara brings with him a unique set of skills and capabilities, satisfying both internal and external customers as a restaurant manager at Heritance Ahungalla. Aitken Spence Hotels’ premier resorts operate under the brand Heritance Hotels & Resorts. Famed for its distinctive properties, exquisite food, culinary art and exceptional service, Heritance Hotels & Resorts has over a period of time gained the reputation of being one of the best hospitality chains in the region. 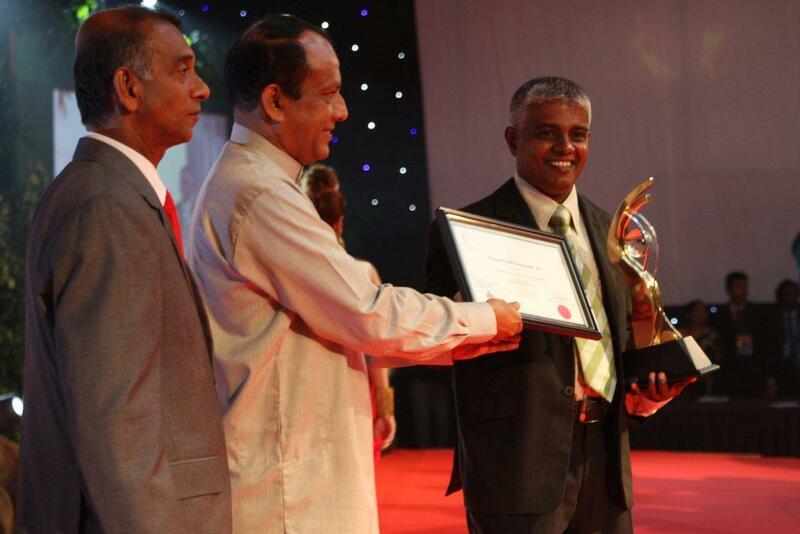 A veteran in the Tourism industry, Aitken Spence Hotels is no stranger to these Awards. The industry giant has been dominating the awards for the past consecutive years, with Heritance Hotels & Resorts winning many coveted awards at last year’s event. 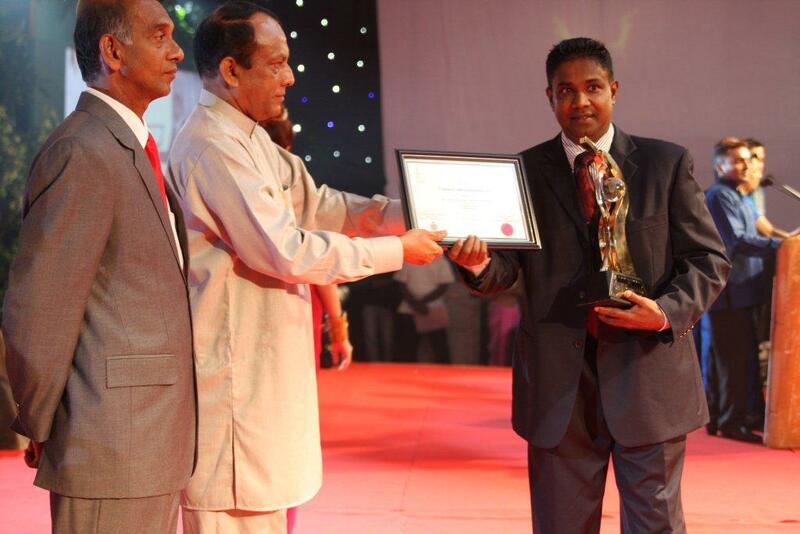 Heritance Ahungalla, was awarded the Best 5-Star Resort in the island, successfully taking over the baton from Heritance Kandalama who held the award for the last three consecutive years. This win secured for the resort a position in the prestigious Hall of Fame last year. In addition, Heritance Tea Factory emerged winners in the Best 4-Star Resort category for a second year. Further demonstrating the dominant position maintained by Heritance Hotels & Resorts in Sri Lanka, Heritance Kandalama was awarded the Best Host Hotel for Eco Tourism reaffirming the group’s commitment towards the environment. The Sri Lanka Tourism Awards is the country’s premier tourism industry event held annually under the aegis of Sri Lanka Tourism. Providing an enviable platform for industry recognition, these awards pay tribute to organizations and individuals for their excellence and achievements, whilst contributing towards the strengthening and empowering of our nation’s tourism industry. Only Travel company in Sri Lanka to enter the Hall of Fame, Aitken Spence Travels won the awards for the Best Tour Operator Emerging Market and Best Conference Organiser at the 5th Sri Lanka Tourism Awards. The company’s first employee and also a past Chairman of Aitken Spence PLC Mr. Prema Cooray was recognised with a Legend award. 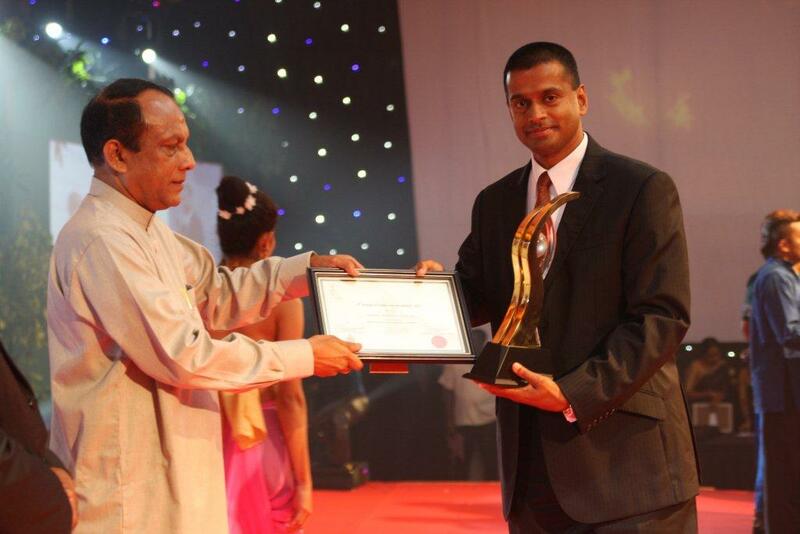 Having won the award for the Best Tour Operator in Sri Lanka in the first 3 years, Aitken Spence was the only travel company so far to enter the Awards’ Hall of Fame. The company which celebrated its 35 years of existence 2 months back has made major investments this year in IT to introduce state-of-the-art software covering all aspects of operations and has upgraded its fleet of vehicles consisting of coaches, cars and micro buses to brand new vehicles to serve clients better. Being a futuristic company, it has already thought of the future and has aligned with its joint venture partner TUI Travel PLC to cater to all important segments of the market. TUI Travel PLC is the largest integrated leisure company in the world. They own over 150 aircrafts, 3500 retail shops in Europe, market leading tour operators in main tourist generating countries and is the leader in online services in tourism. They are also the leader in cruise handling and operates its own cruise line Hapag Lloyd. TUI is the No.1 Leisure hotelier in Europe with 9 brands. In order to consolidate its market leadership position Aitken Spence Travels is now a part of the umbrella brand Worldcome which will further enhance its marketing capability worldwide. With regards to the important and fast growing online segment Aitken Spence Travels has teamed up with Hotelbeds to procure services in Sri Lanka. Aitken Spence Travels is already a member of Intercruises the world’s largest network providing shore excursions to cruise operators. They are currently in negotiations with the leading international brand Pacificworld serving the MICE segment to increase their foothold in the meetings, incentives, conventions and exhibitions segment. In Adventure Travel, they are in discussions with Purequest brand developed within the TUI group to cater to Adventure Travel. Commenting on the accolades received, Mr. Gehan M. Perera, Managing Director of Aitken Spence Travels and Director of Aitken Spence PLC attributes the remarkable achievements to the exceptional team at Aitken Spence who continue to rise above themselves and out-perform the market consistently. “Such achievements and to retain market leadership position for such long period is only possible if we continue to work as a well-knit team, to offer outstanding value and service to our customers and principals. We will continue to be customer obsessed in all our endeavours”. “We are indeed grateful to all our hotel partners and suppliers in Sri Lanka as well as all our overseas tour operators who have supported us throughout our long journey. Whilst acknowledging this honour with humility, we will re-dedicate ourselves to support our partners even more and exceed our customers’ expectations, whilst expanding our operations with the new initiatives taken by the company to operate on an international platform”. He considers it a privilege to lead an innovative and dynamic team that defies logic and is committed to excellence.